Even two of the world’s most famous Hollywood A-listers can be intimidated when they meet a brand new co-star. Especially when the co-star in question is nearly nine feet tall and weighs 9,000 lbs. 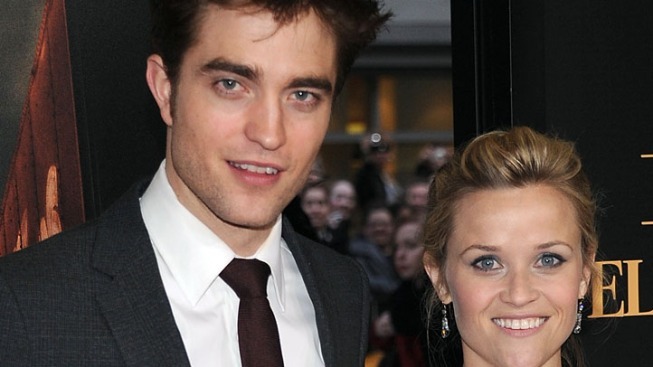 Reese Witherspoon and Robert Pattinson admit to being a bit overwhelmed when they first encountered Tai, the 42-year-old Asian elephant who plays Rosie, the seemingly untrainable circus pachyderm in their new film “Water For Elephants,” director Francis Lawrence’s adaptation of Sara Gruen’s bestselling novel. Pattinson’s no stranger to addressing rumors about his romantic life, and he takes great pains to clarify the true nature of his relationship with Tai following frequent reports that the two were quite smitten with each other.